Baby Boomer Lynne Lancaster and Generation Xer David Stillman identify the seven trends essential for understanding and managing employees from the Millennial generation. Generation gaps are widening in organizations across the country, and when you’re working with the most recent batch of young people to enter the work force, there are many new things to learn about getting them onboard. Some people call these employees "Millennials." 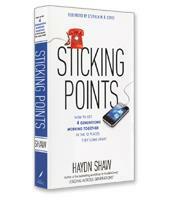 Others call them Generation Y, the Echo Generation, GenNext or the Tech Generation. No matter what you call these 76 million individuals born between 1982 and 2000, every employer in the country could use some tips about helping them work productively as their numbers in workplaces across the U.S. begin to rise. According to the authors of The M-Factor, these young people are very different from the Gen-Xers, who were born between 1965 and 1981; the Baby Boomers, who were born between 1946 and 1964; and the Traditionalists, who were born before all of them. The ways they act in the workplace and the expectations they have about their jobs and careers are vastly different from those who came before them. Workplace culture experts Lynne C. Lancaster and David Stillman have been studying how the generations work together in the nation’s organizations for many years. Twelve years ago, they co-founded BridgeWorks to help connect people from an assortment of generational cultures. In 2003, they published When Generations Collide, their first book on the subject of intergenerational relations. 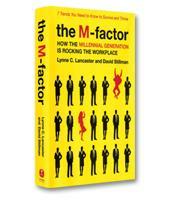 In The M-Factor, Lancaster and Stillman focus exclusively on the Millennials and the ways they can be successfully woven into workplace teams. The Millennials are unlike any previous generation, so the authors offer anyone already in the workplace the keys to unlocking their mysterious ways. One thing that makes them very different from their predecessors, Lancaster and Stillman point out, is their continued deep connection to their parents. Millennials’ parents often take great interest in their children’s careers, and Millennials often keep their parents in the loop through regular, technology-enhanced contact. The authors of The M-Factor joke, "When you hire a Millennial you get three for the price of one — here come Mom and Dad!" Millennials also want to do work that has value, so they want their jobs to contribute to the world in some valuable way. The authors explain that connecting the jobs of Millennials to a greater mission will be a challenge that employers should tackle. When an organization’s leaders create this kind of connection, they will find it much easier to recruit and retain the Millennials they need. For example, Lancaster and Stillman describe how the Federal Aviation Administration (FAA) was able to connect their jobs with the larger goal of changing the future of aviation. Explaining how adapting the FAA’s recruitment language to fit the needs of Millennials helped it attract well-qualified applicants, one official explained, "It used to take us a lot longer to recruit the best and the brightest and now that we have changed our value proposition, they land on our doorstep." Lancaster and Stillman also write about the high expectations that the next generation of employees have for their careers: They want fulfillment, and they want it fast. According to the authors, the best way for employers to deal with these high expectations is to learn how to integrate Millennials into the organization through ongoing coaching and mentoring. When dealing with a mistake-prone Millennial, offering some detailed notes of guidance can go a long way toward alleviating your stress and getting the young person off on the right foot. Lancaster and Stillman focus on these and many other timely topics that will help everyone in the workplace connect better with this latest group of highly talented and uniquely qualified employees. 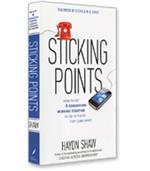 The authors’ tips on social networking and collaboration offer valuable inroads into the minds of Millennials, as well as the many opportunities their differences offer a workplace. While exploring the influences that created them and the ways they see the world around them, Lancaster and Stillman present a pragmatic approach to helping Millennials become an important part of any work team.